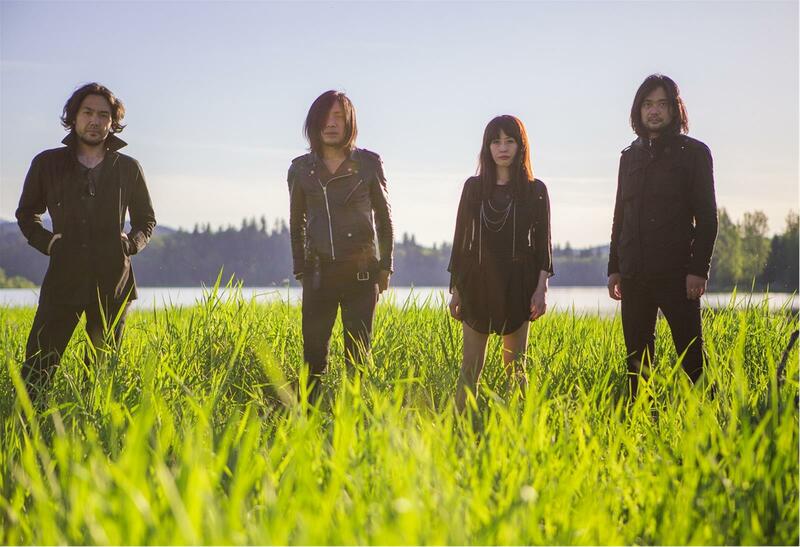 The Last Dawn and Rays of Darkness are a pair of new albums by MONO. Recorded simultaneously yet conceptually and creatively disparate, the two act as both opposing and complementary sides to a story. No strangers to narratives, the two albums explore familiar themes for the band: Hope and hopelessness, love and loss, immense joy and unspeakable pain. 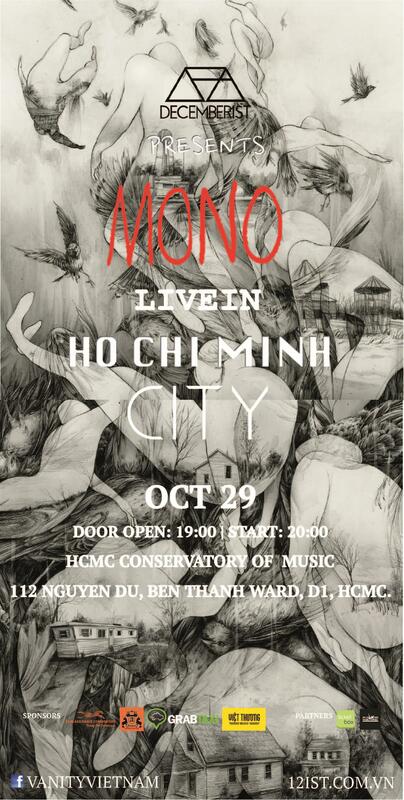 Those elemental parts of life and the complicated relationships they create have never been more resonant through MONO’s music than they are here.The Decemberist proudly present MONO (Japan), one of the most prominent and unique names in and outisde the loosely-defined post rock in their debut performance in Vietnam. The event is part of the pan-Asian promo concerts supporting the release of the duo Rays of Darkness and The Last Dawn, unquestionably a rare opportunity for lovers of music and Japanese-ism in Vietnam. Somewhere and most prominently in Vietnam, whenever Jmusic gets a mention, it’s consistently X-Japan and the rest. Better (or worse), the presence of Japanese culture remains slim somewhere between the popular and the cult. However, with an open mind, one can peer through only to discover a complex of mega-fantastic, ultra-energetic, super-vivacious subcultures, including music, that thrive, that seek, that define and redefine characters, a real treat for the perception that for some reason have remained largely off the mainstream radar, or the youth culture's favorites. Put in such context, MONO is an exception, but also a definite Japanese identity on its very own: (forgive this of-used cliché: when Haruki Murakami comes to mind). Their sounds draw from a wider-than-wide range of influences throughout the career, from Sonic Youth, My Bloody Valentine to German’s maestro Beethoven, Polish Henry Górecki to Italian Ennio Morricone, to the exceptional (non-musical) Lars Von Trier, while all the same time audiences can feel their very Japanese-ness clearly pronounced. The loose term post-rock aside, imagine a massive black marble edifice, divided by clear glass at intervals, until unexpectedly towards the top of the structure it explodes into a shower of fragments, with flames spitting upwards towards a starry sky. Put differently, the music delivered consists of textured melodies and tapestries of sound piled on top of one another, some as dense and impenetrable as the darkest of ocean depths and the next thinner than the highest and lightest of mountain airs, until inevitably the whole thing erupts sending molten rock cascading down around your ears. (Terrascope UK). MONO are in fact far more complex and often compared with such inventive outfits as Stars of the Lid, Explosions in the Sky and Do Make Say Think. 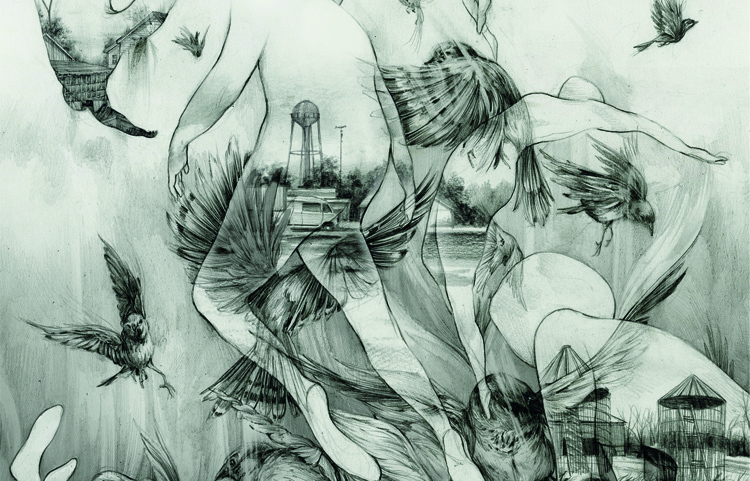 The Last Dawn and Rays of Darkness are a pair of new albums by MONO. Recorded simultaneously yet conceptually and creatively disparate, the two act as both opposing and complementary sides to a story. No strangers to narratives, the two albums explore familiar themes for the band: Hope and hopelessness, love and loss, immense joy and unspeakable pain. Those elemental parts of life and the complicated relationships they create have never been more resonant through MONO’s music than they are here. 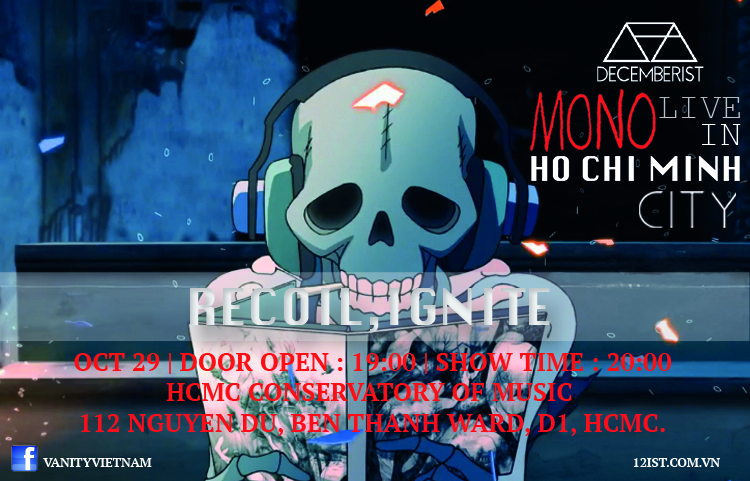 Upcoming concert of MONO in Vietnam marks Decemberist’s inaugural effort as a newly founded promoter who is well armed with skills and knowledge of its experienced members. Located at the center of the revitalizing music / concert scene, especially at the re-turn of international artists after many years’ absence, Decemberist wildly puts their heart at the openness of their audiences, who are becoming more willing to expose to and catch up with the ever-changing musical climate outside the giant borders called habit or even nostalgia. In other words, Decemberist would like to bring the audiences closer and closer to the organic, unparallelled, tumultuous music world of today-s, wherein geo-borders & closemindedness bear no meaning whatsoever.